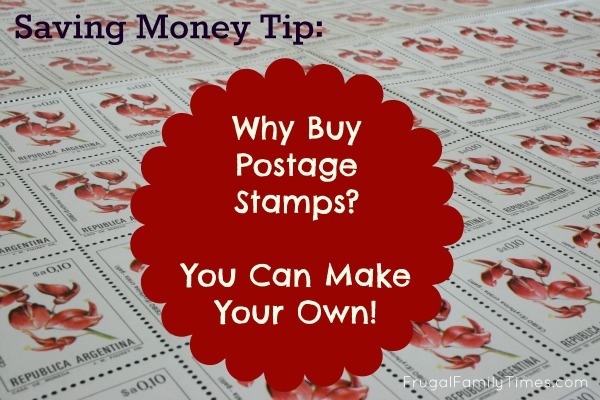 Saving Money Tip: Why Buy Postage Stamps? You Can Make Your Own! Does anyone else remember that line: "Why buy postage stamps? We can make our own!"? It's something Robin sings off and on from back in her high school punk rock days. The line is from a Dead Milkmen song she used to listen to on her Walkman. A guy from cadets made her a copy on a tape. Yeah, she's always been walking that line between cool and dork. Just a little frugal humour for ya! Did you play any good April Fool's jokes today? Or have any played on you? I put a rubber snake in the fridge and tied it to the door with some fishing line. When my wife opens the fridge tonight - snake attack. Was Robin really a nerd in her high school days? Another anonymous for her chance at revenge!